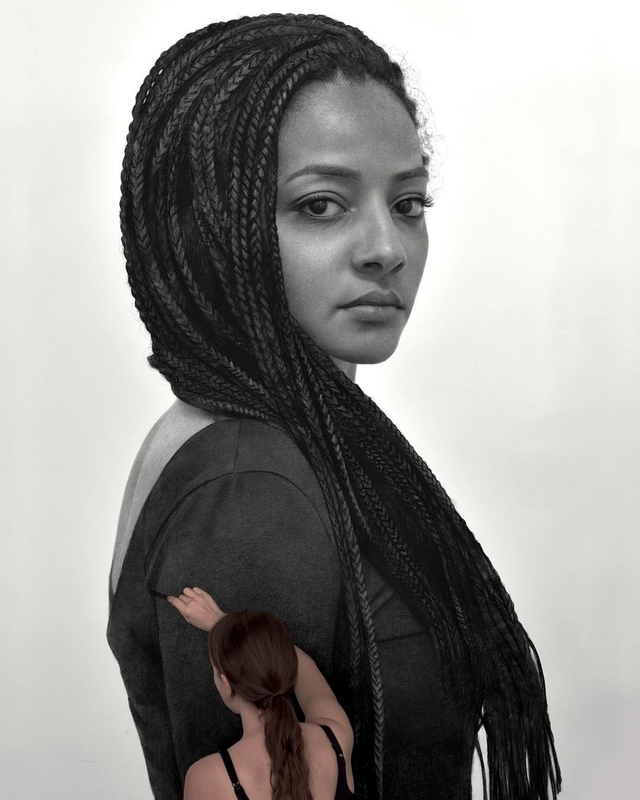 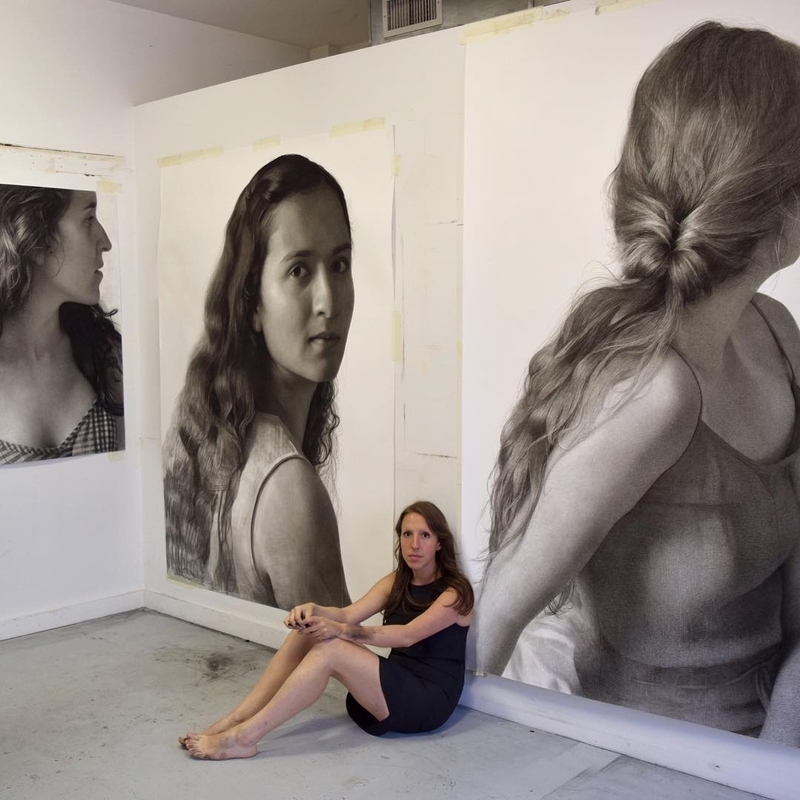 American artist Clio Newton, not only produces enormous drawings, but they are also very realistic. 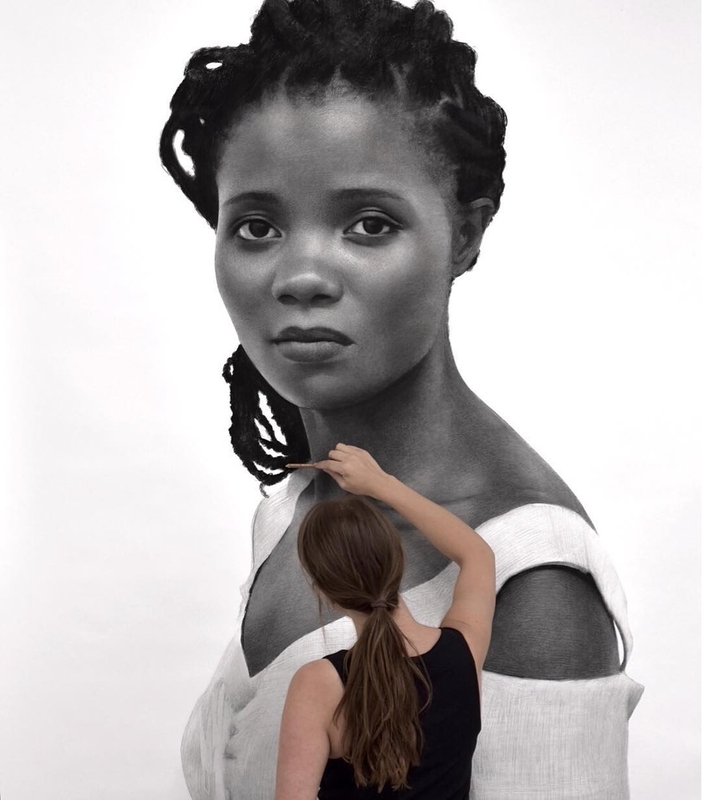 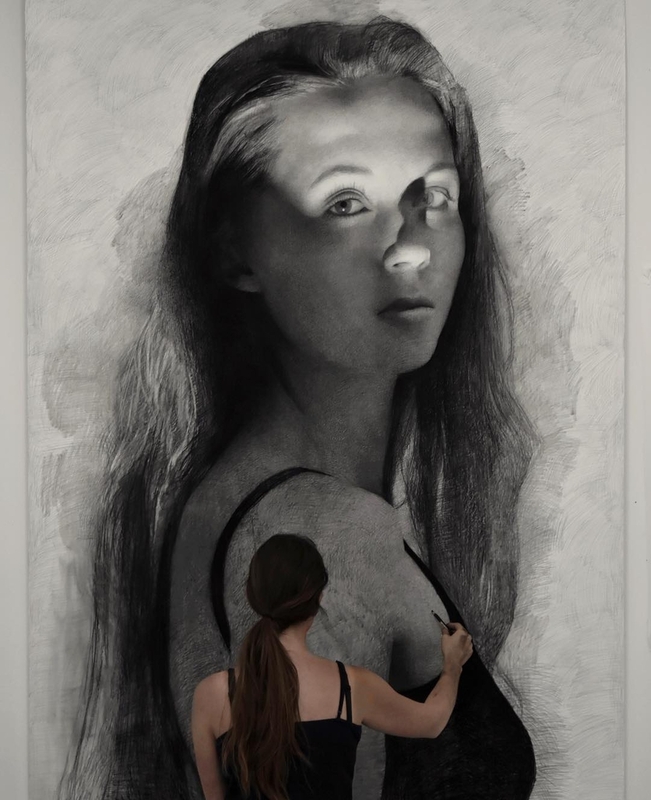 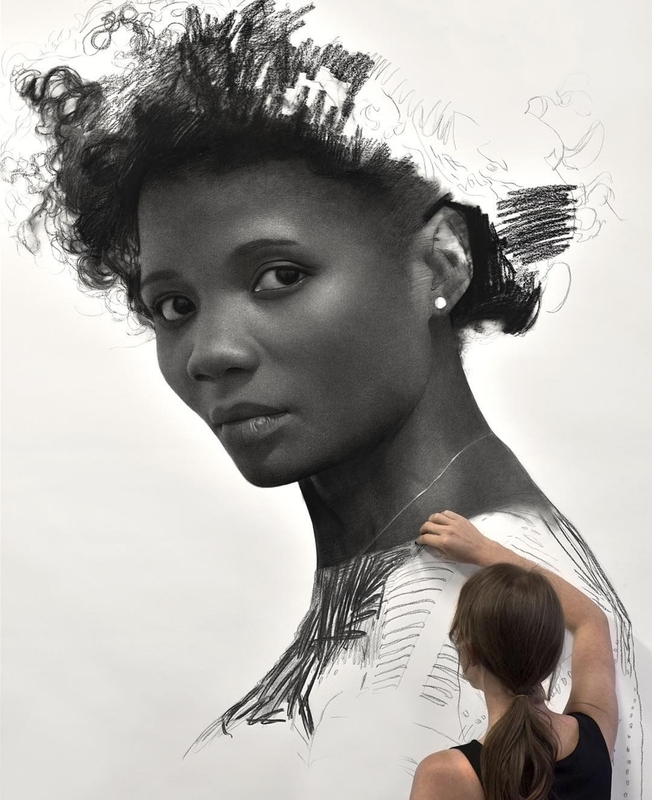 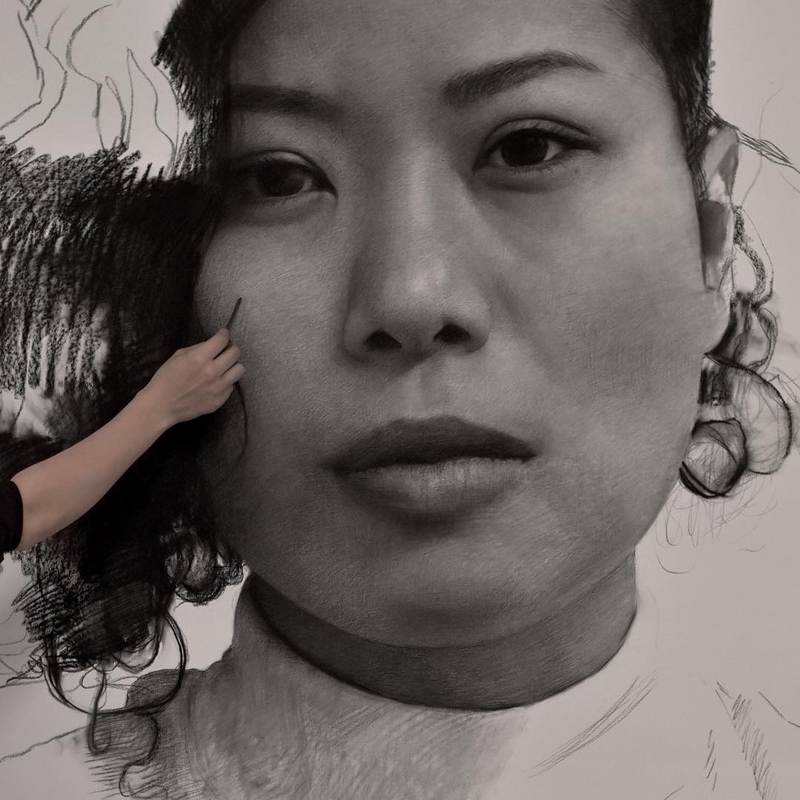 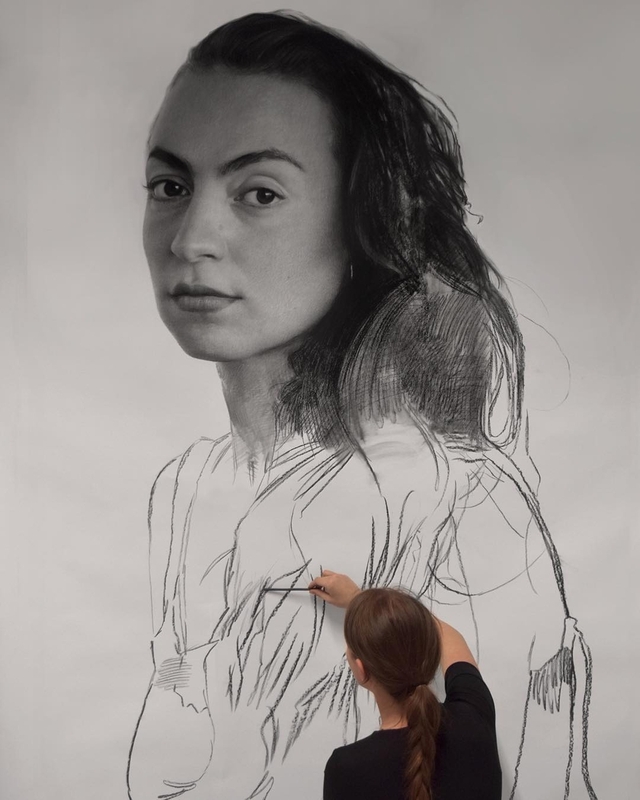 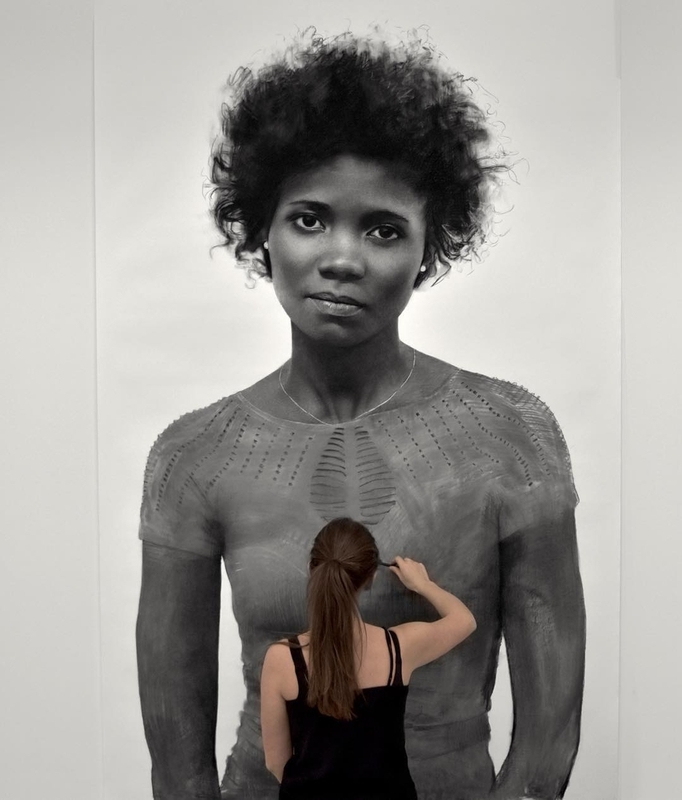 To achieve these larger than life likenesses, she uses compressed charcoal on Fabriano paper. 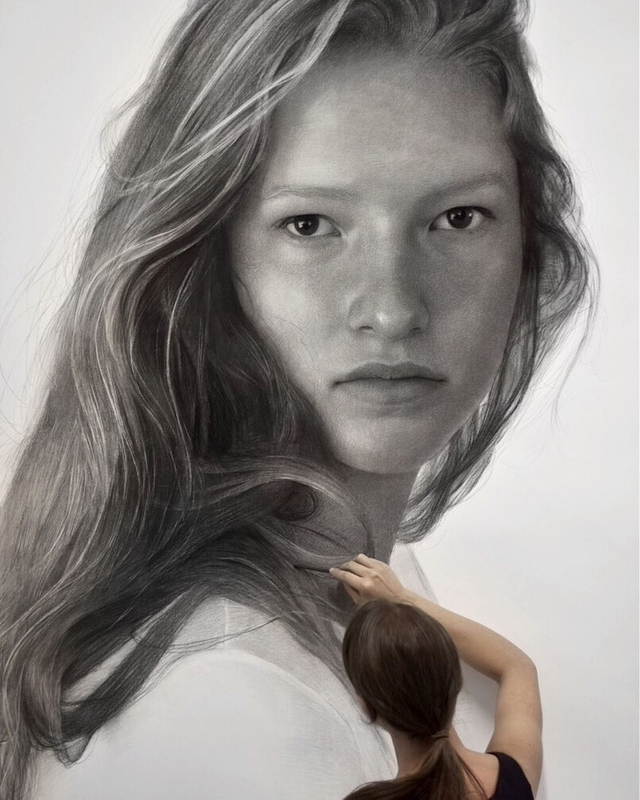 In order to show this amazing artistic execution by the artist, I have included a sped-up video, of one of her works, below. 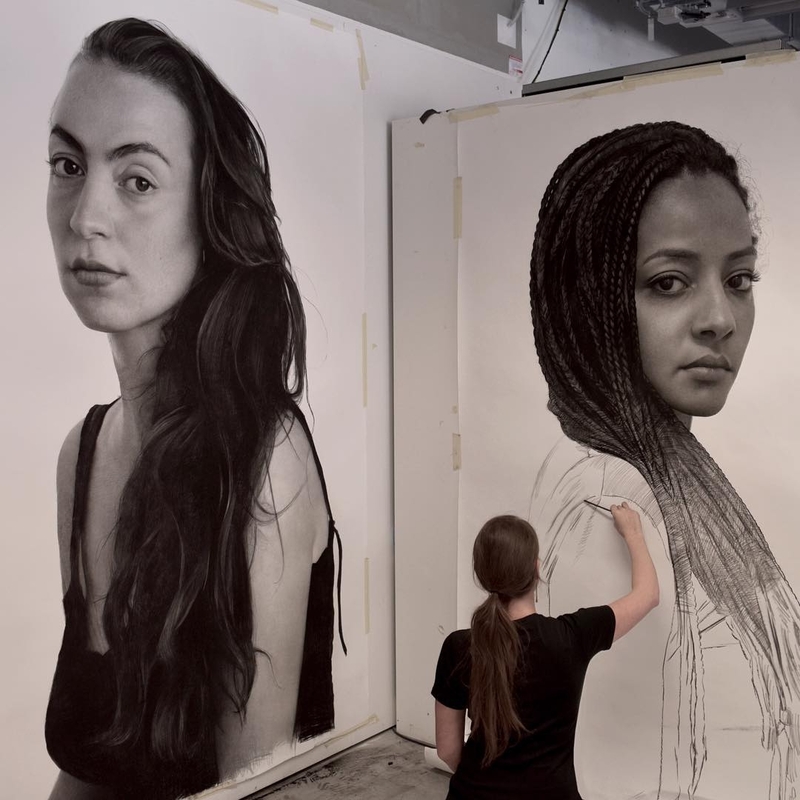 Some of the drawings featured below, are WIPs (work in progress), which, in my opinion, gives you a bit of an insight into the Newton's work and how she goes about setting up these beautiful portraits. 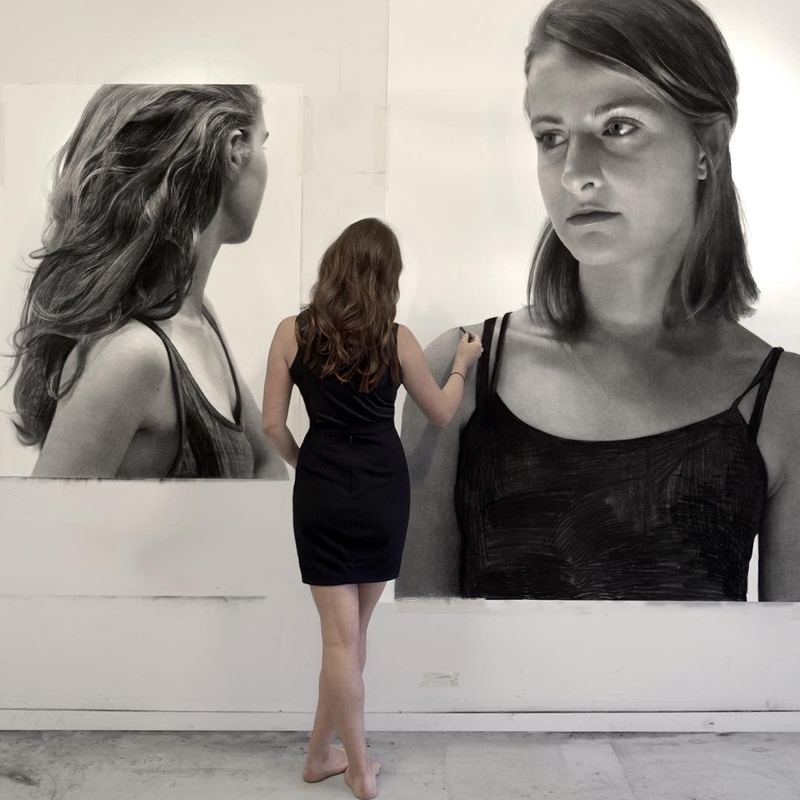 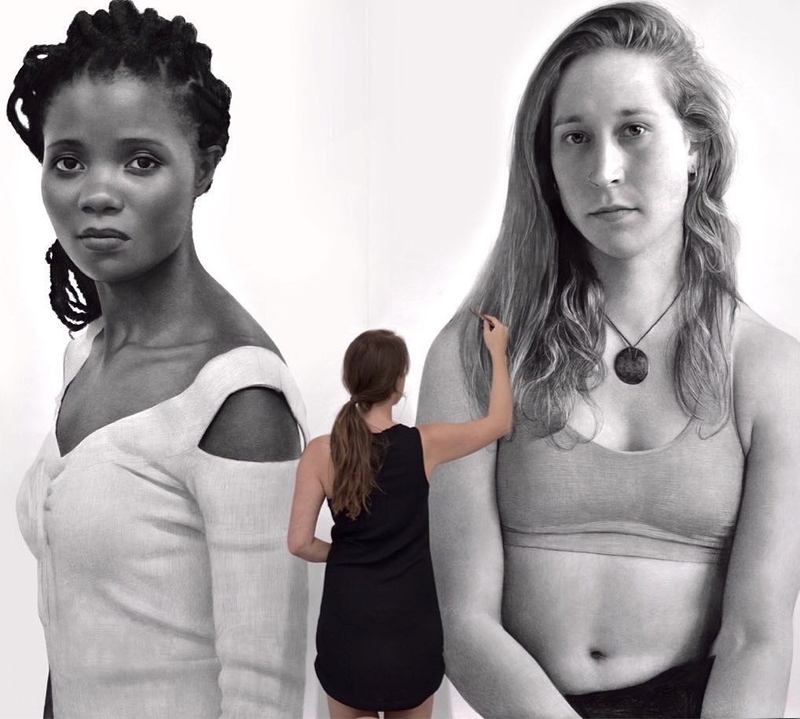 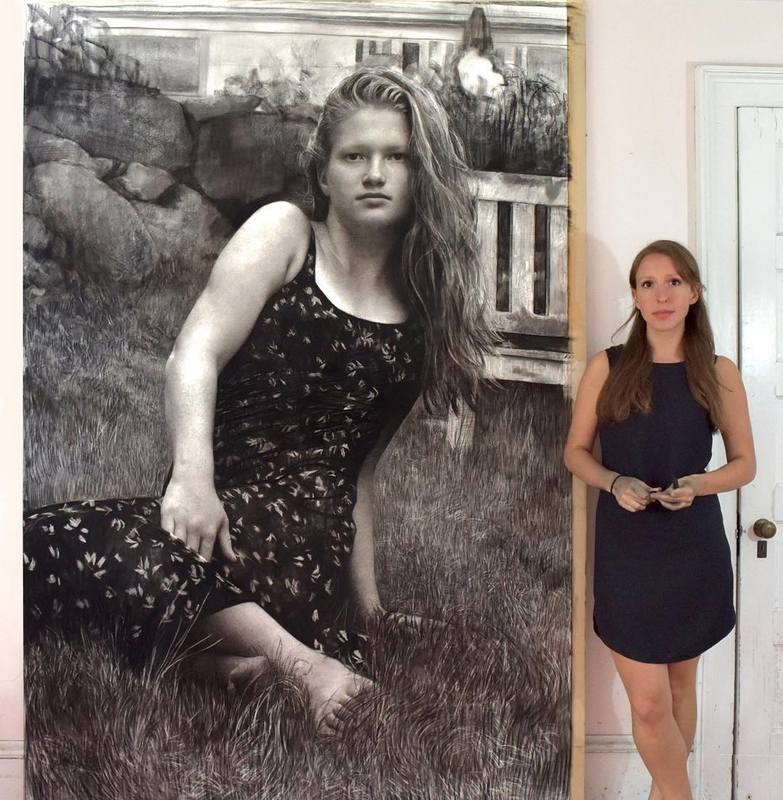 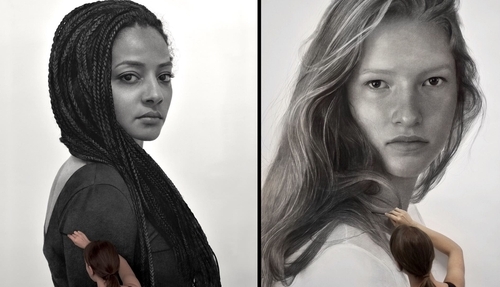 Enormous Gigantic Realistic Charcoal Portraits by Clio Newton.